What is The Inner Game and why is it key to business success? Over the last 12 years, I have helped hundreds of clients achieve the results they want in their businesses. I have helped clients who are doing well do even better as well as those who are challenged, overcome their challenges. The most important thing I’ve learned is that business success is a combination of doing the right things with your business whilst at the same time Mastering your Inner Game. That’s the hidden part of business success that few business owners pay attention to, but it is the part that is vital to ensure that not only does your business flourish, but also both you (and your team) are happy. As an example: Adopting beliefs that serve you is one element of Mastering the Inner Game. Henry Ford said “If you believe you can, or if you believe you can’t, you’re right”. It is the simple act of believing that impacts the results you are getting: Believe you can and you will, believe you can’t and you won’t! The stronger your beliefs the greater their effect! 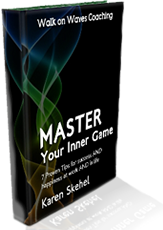 There are many other elements involved in Mastering the Inner Game too! Being happy is another key piece to business success, that is so often overlooked! If you are not getting the results you want in all areas of your business or you are working too hard, you may not be on top of the Inner Game of business. Whilst the right product, the right marketing, the right systems and the right people are key to business success (and I help my clients with all of these) unless you have mastered the Inner Game, your success is likely to be limited and you may not be as happy as you’d like to be: Perhaps you have already noticed areas where you are not achieving the success and happiness you want. Every business owner has challenges and blocks that get in the way of their achieving the outcomes they want. If you know you are not getting the results you want, or you are working too hard, or there are other challenges that are holding you back, you may want to know how to turn things around. If you’d like to get on top of your Inner Game and achieve the success AND happiness you want, I’d like to give you my Special Free Report. 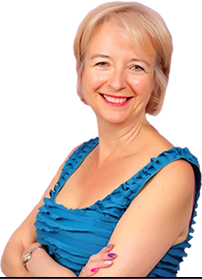 Inside I share my 7 Proven strategies for success and happiness at work and in life: All you need to do is put your name and email address in the box at the side of this page.